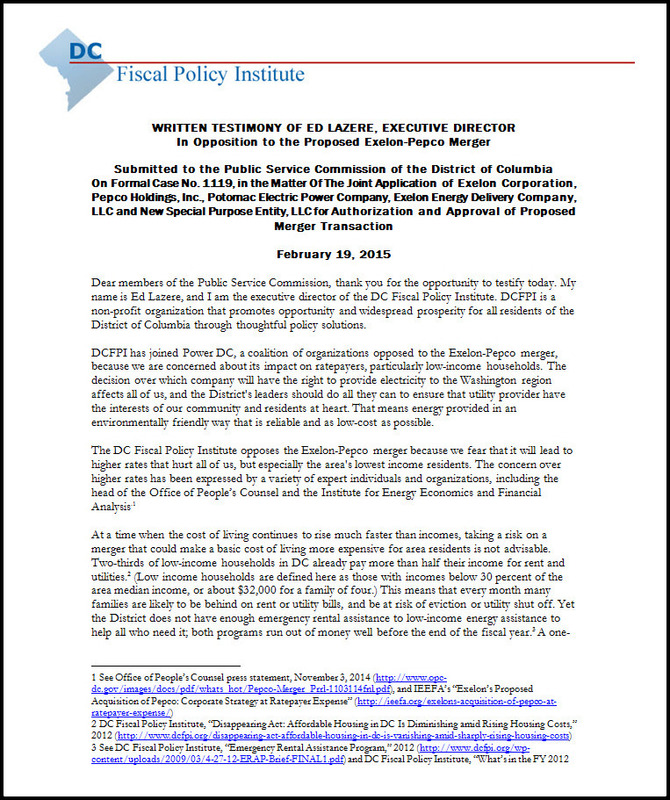 UPDATE: DC Councilmember Cheh and DC Fiscal Policy Institute Latest to Publicly Oppose Exelon/Pepco Merger! – The Pepco-Exelon Merger Would Hurt the District’s Poor & Middle Class Residents! – The Pepco-Exelon Merger Would Hurt the District’s Progress and Targets for Renewable Energy and Energy Efficiency! – The Pepco-Exelon Merger Would Dramatically Decrease Local Control of Our Electricity! The momentum in the District is on our side. Hundreds of District residents have sent testimony to the DC Public Service Commission (PSC) opposing the merger. Have you submitted your testimony? Submit yours today to psc-commissionsecretary@psc.dc.gov. 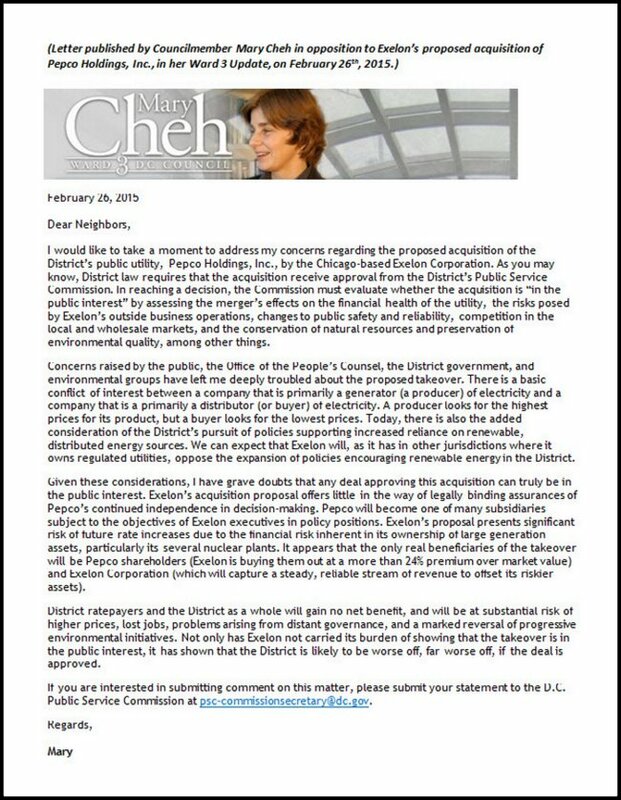 Councilmember Mary Cheh has been the clearest and loudest voice coming from the District’s legislative branch of government. She recently spoke out against the merger on “The Politics Hour” with Kojo Nnamdi & Tom Sherwood. You can listen to her statement here! Councilmember Cheh also recently circulated a letter in her monthly “Ward 3 Update” that outlined her case against the merger. Click here to see full letter. The DC Environmental Network hopes that other Council representatives will engage on this historically important decision. The stakes are too high for members to put their heads in the sand and not express their views. We are very thankful to those that have brought their expertise and experience to the debate. That’s what being a representative of the District is all about. The DC Fiscal Policy Institute, one of the most effective advocacy organizations in the District, has been a champion of poor and middle class residents. 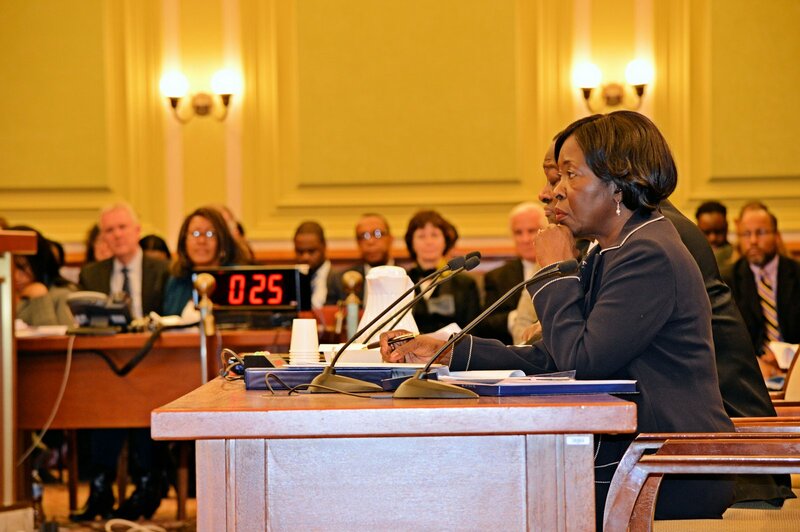 They recently submitted testimony in opposition to the Pepco/Exelon merger. You can read their full testimony here. Have you submitted your testimony? Submit yours today to psc-commissionsecretary@psc.dc.gov.